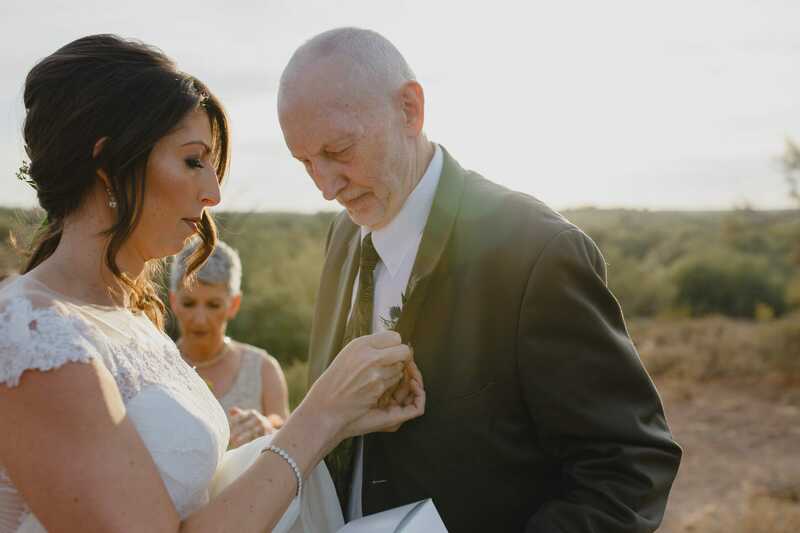 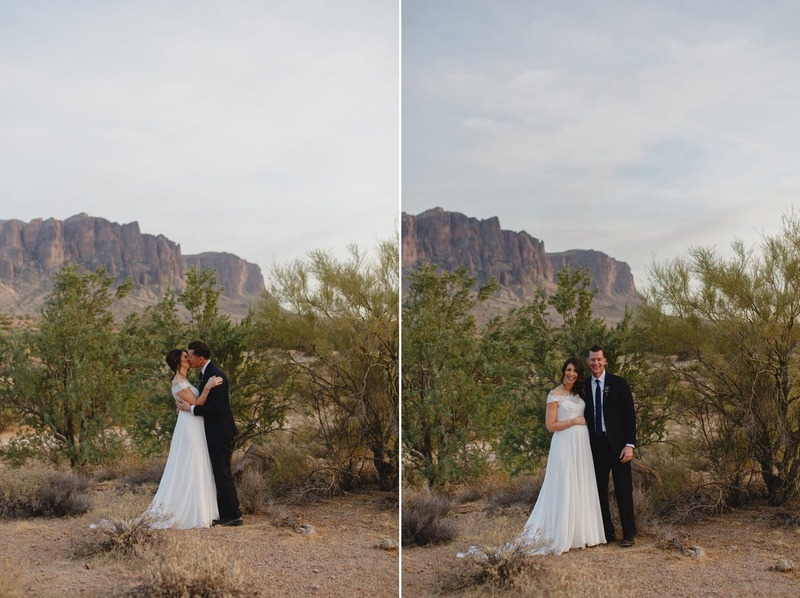 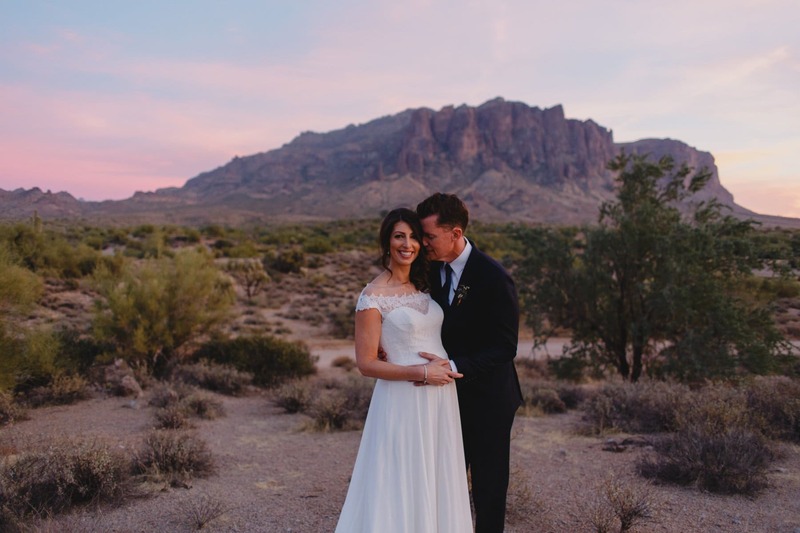 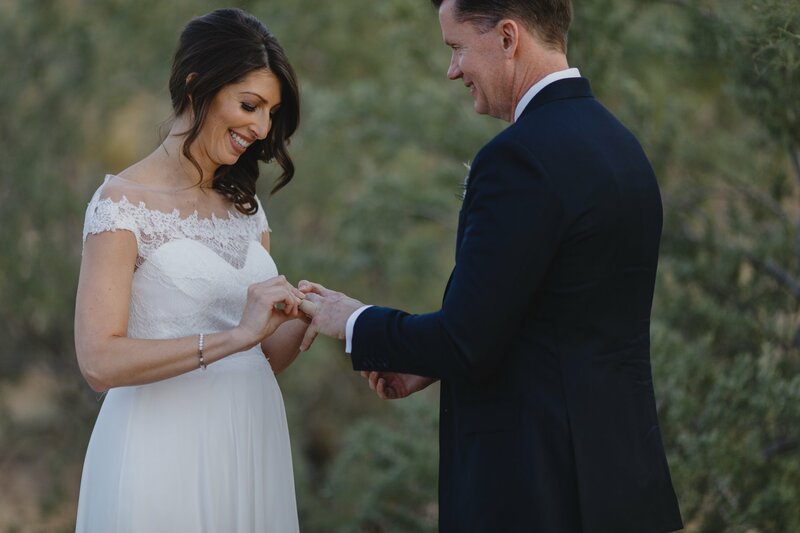 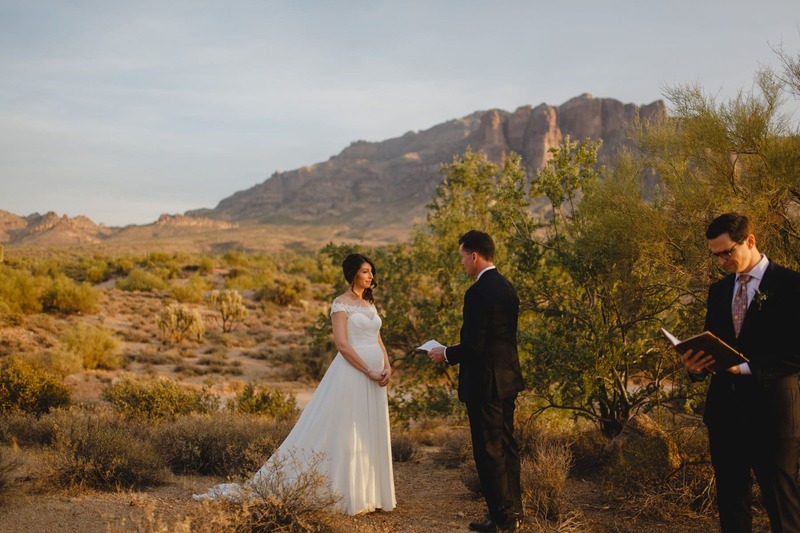 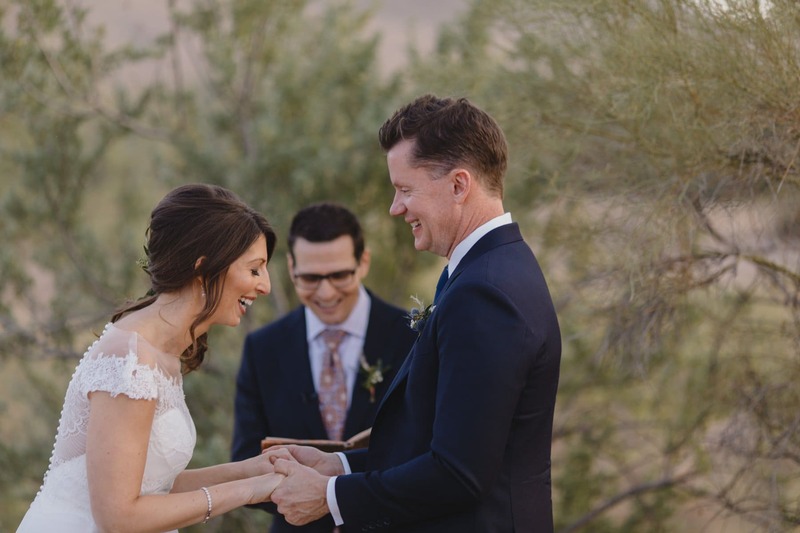 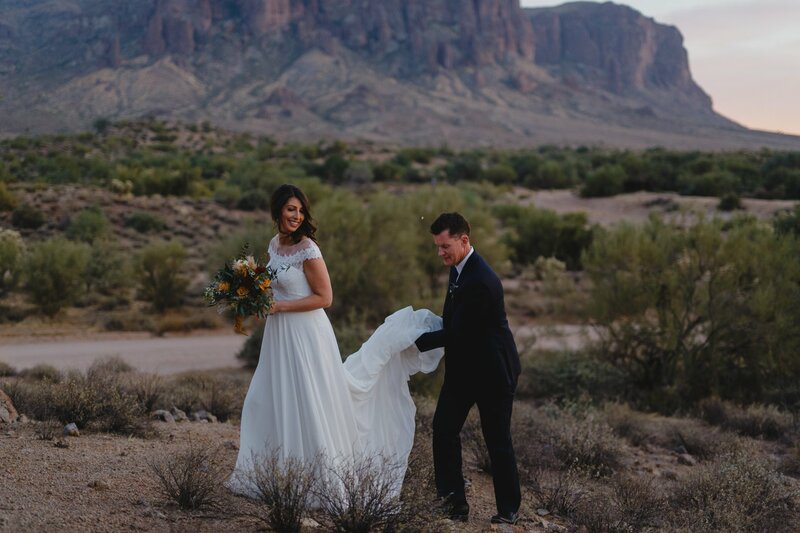 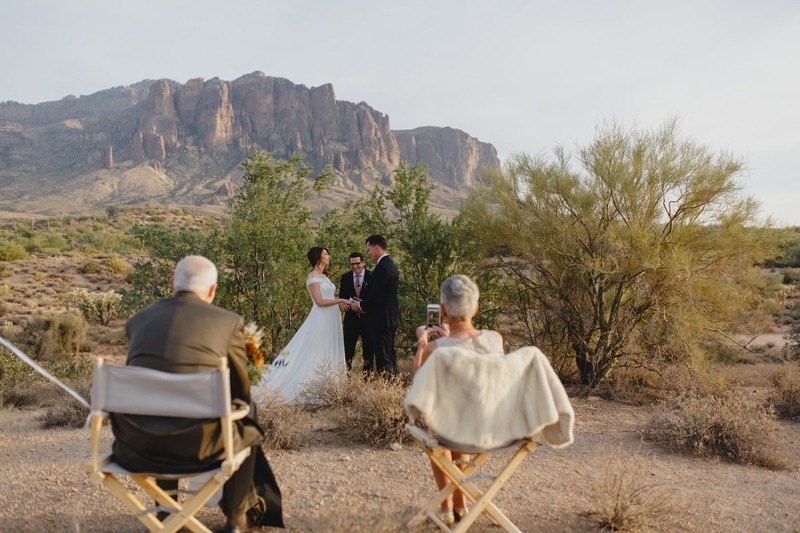 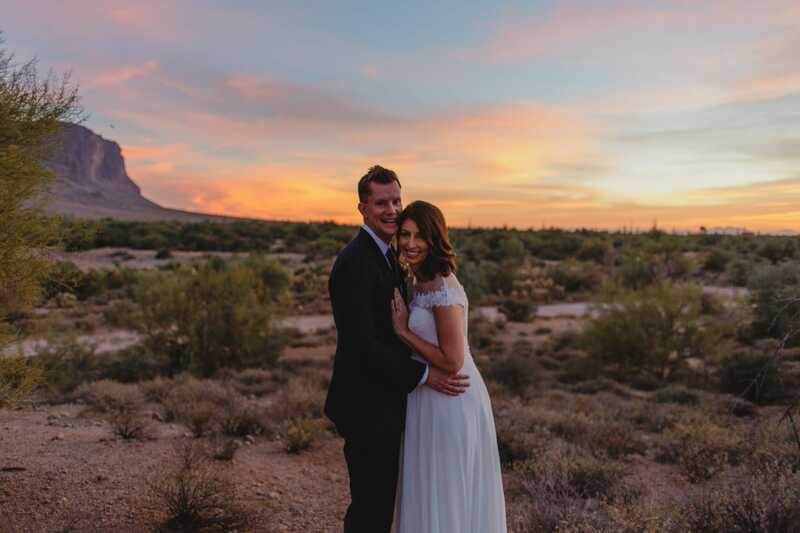 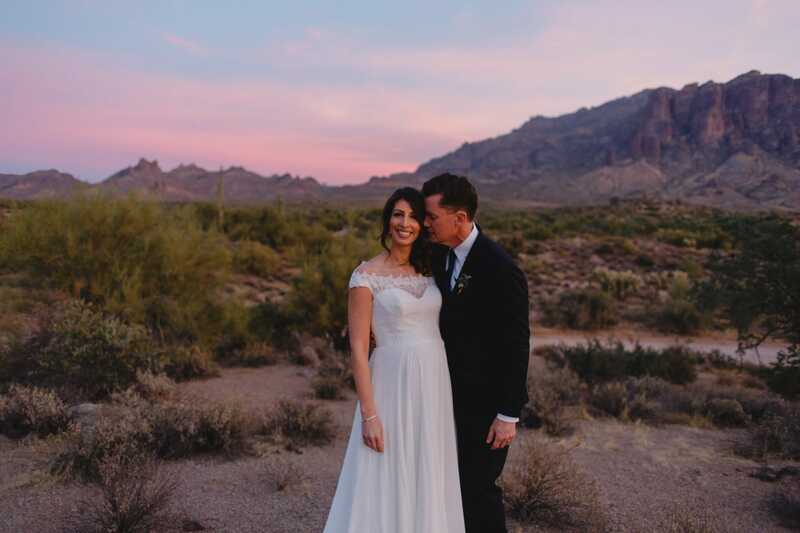 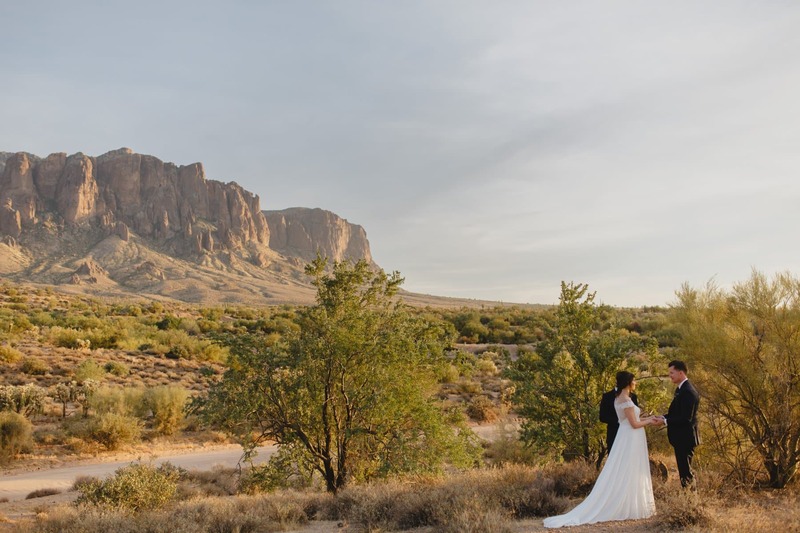 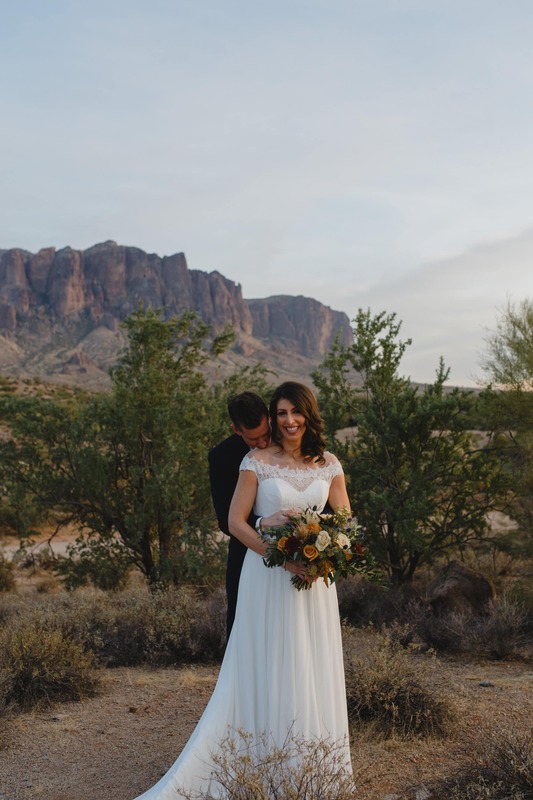 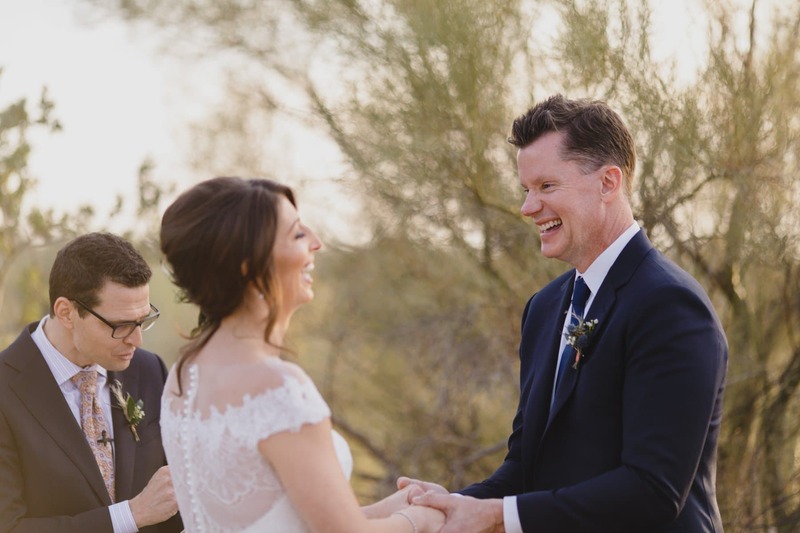 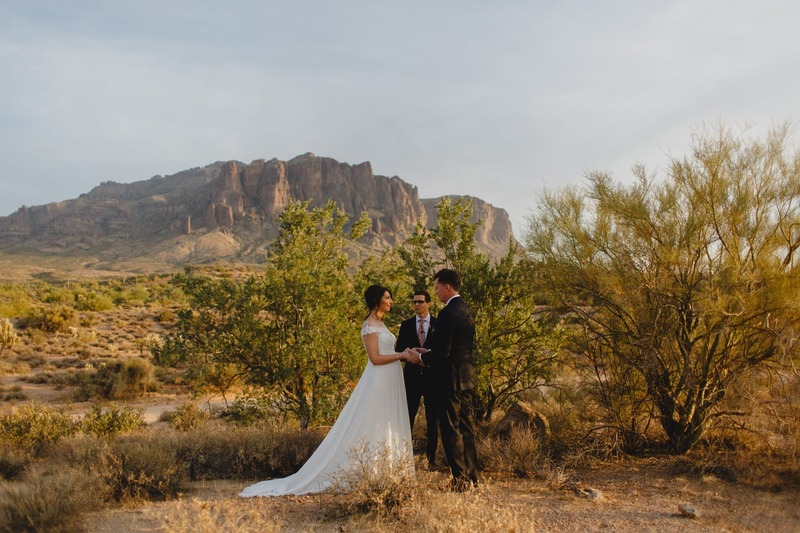 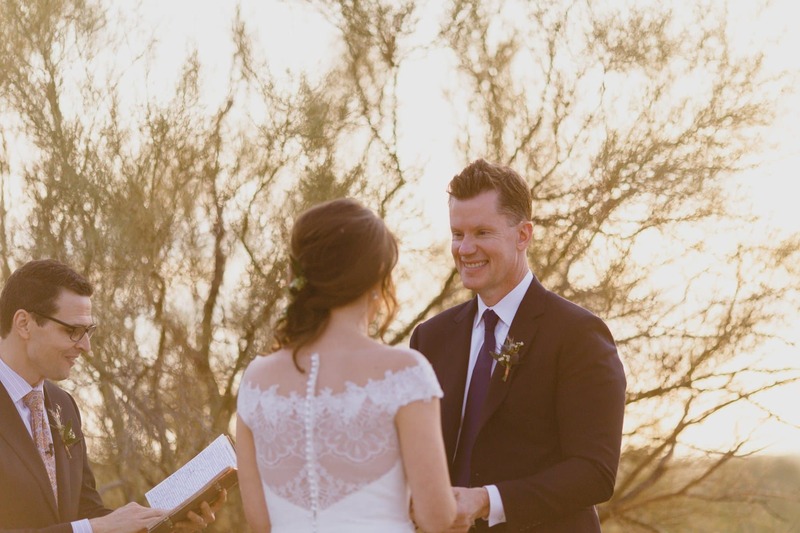 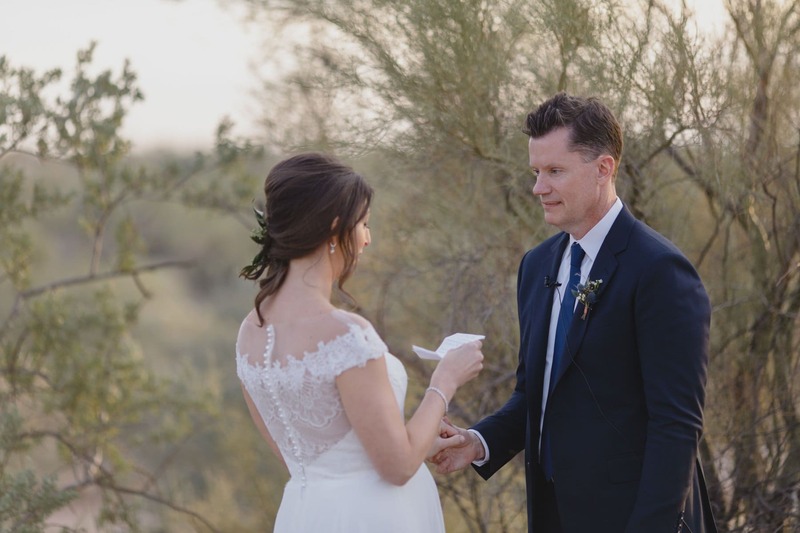 Katie & Scott wanted a simple elopement at the foot of the iconic Superstition Mountains with Katie’s parents as witnesses. 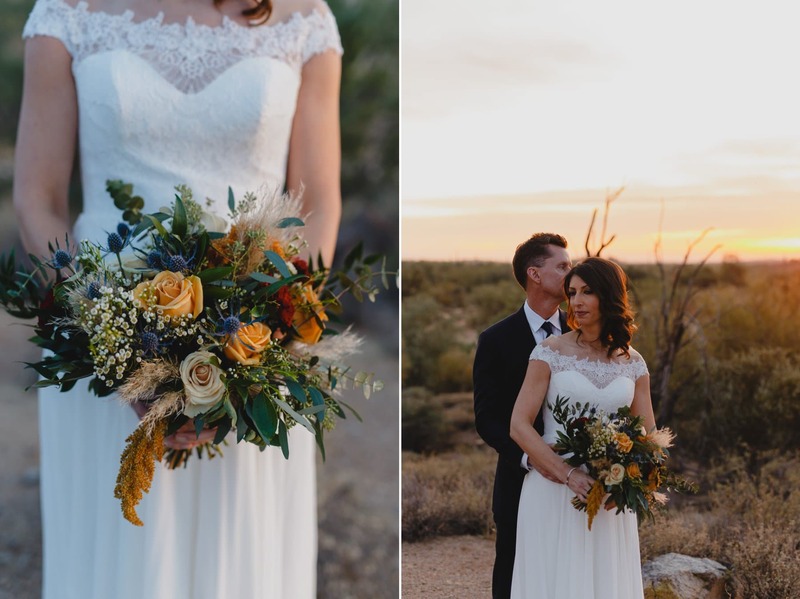 I hooked them up with rad alternative Arizona planner Sierra of Blackfern Events to help with all of the logistics & day of coordinating since they were planning from out of state. 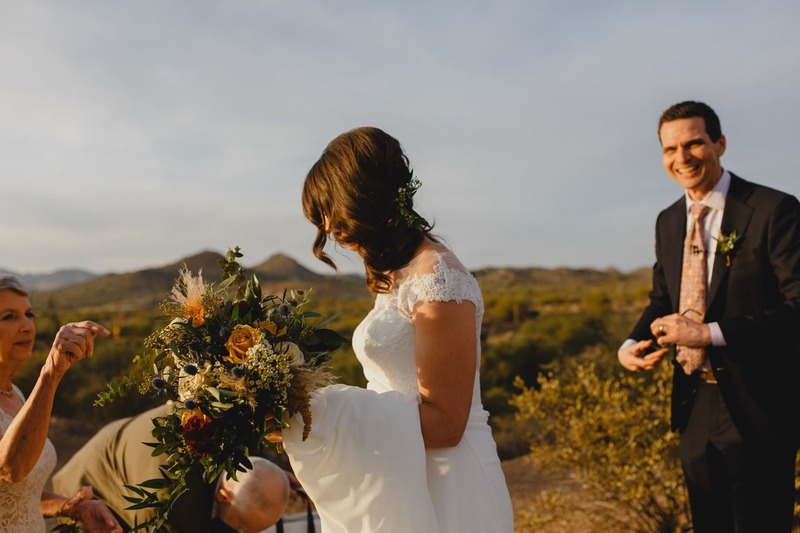 Even planning an elopement from out of state can be a bit tricky, and Katie & Scott are busy people especially with a baby on the way. 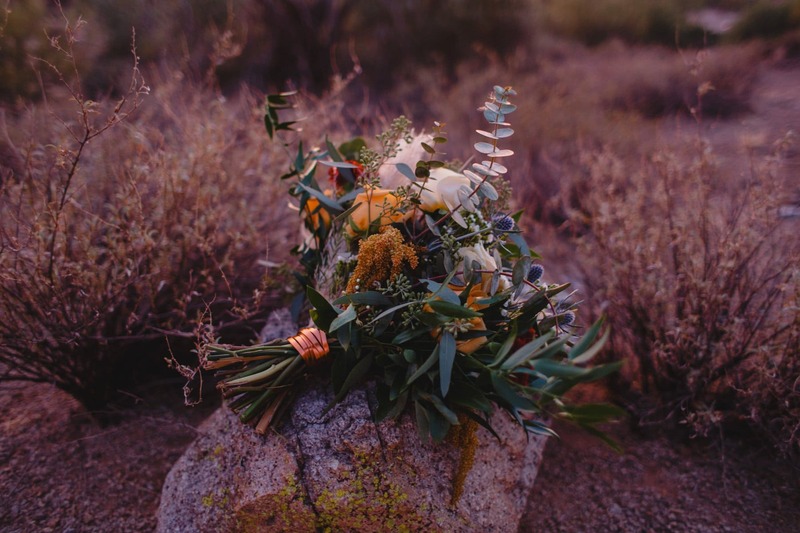 Leave it in Sierra’s capable hands! 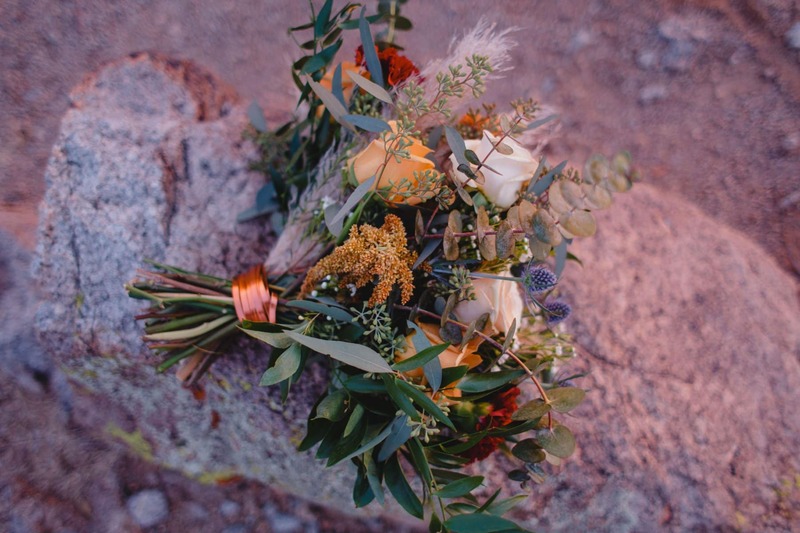 They also had Form Floral (the florist formally known as Hoot & Holler) and man, did they create a knockout bouquet. 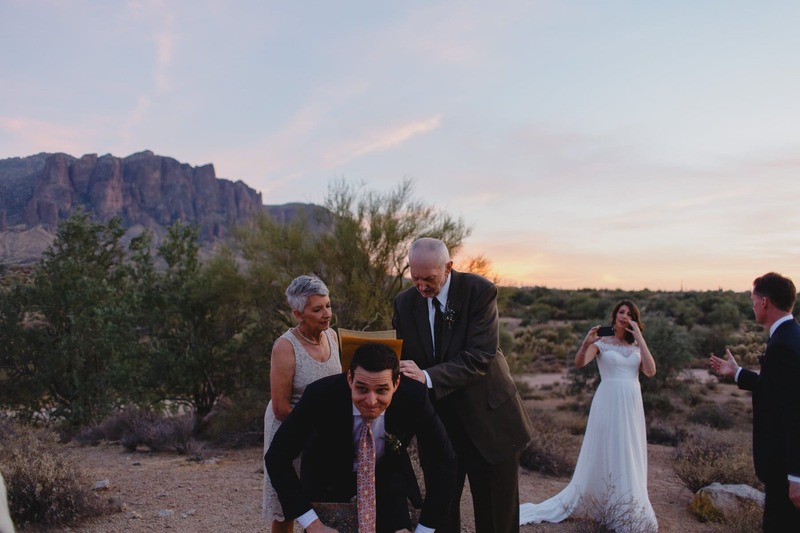 Add to the talent mix Max Nathanson of First Officiant, and you have yourself a dream team! 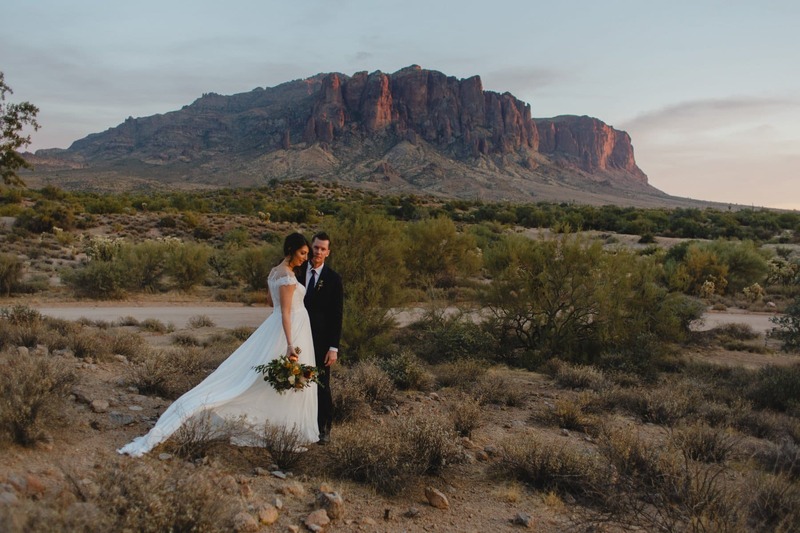 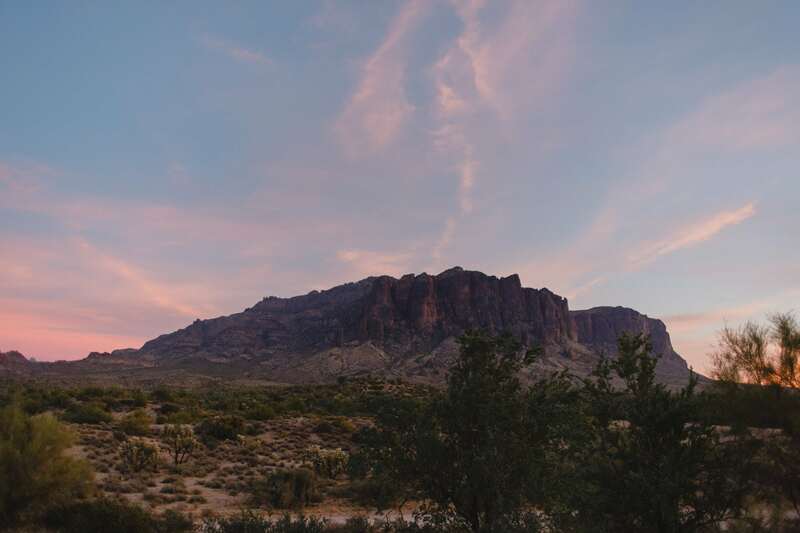 Mother nature also cooperated well, giving us gorgeous light and a KILLER sunset, which with an already stunning backdrop like the Superstition Mountains really just takes everything over the top. 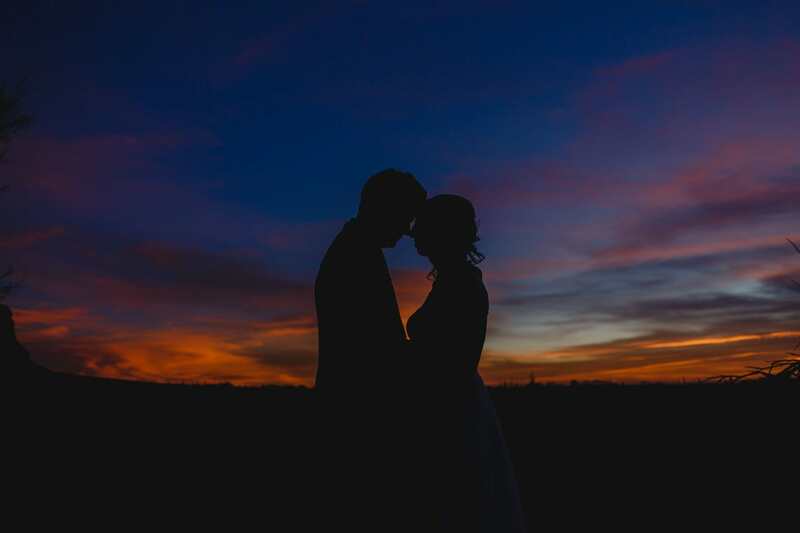 And that’s coming from someone pretty used to good sunsets- my standards are pretty high. 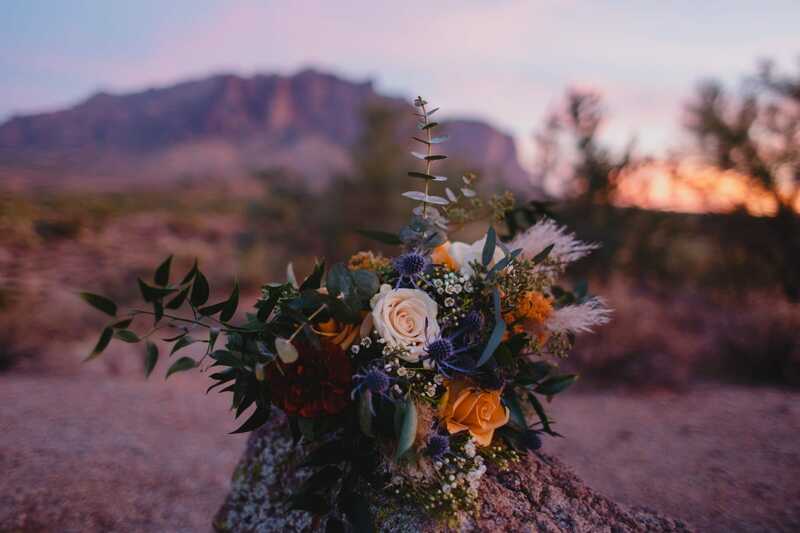 If you’re looking to elope, check out my Arizona elopement location guide, or my other elopements on the blog. 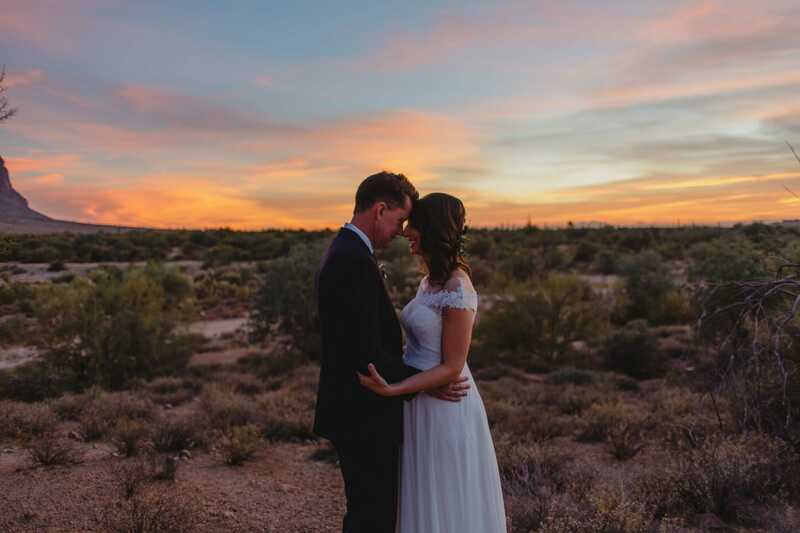 I’d love to be a part of your elopement planning process! 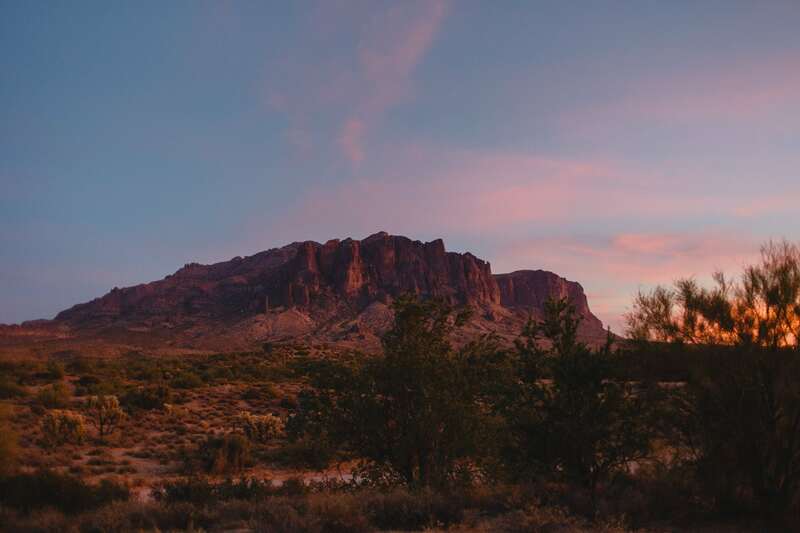 Arizona has so many stunningly beautiful locations- from aspen & pine forests and mountains in Flagstaff which are great in the summer when it’s a million degrees in Phoenix, to the slot canyons of Antelope Canyon near Page, to the Grand Canyon, to the amazingly green pine forests of the White Mountains, to the Mogollon Rim and lakes near Payson, to the mountainous deserts of the Phoenix area, to the gorgeous Mt Lemmon in Tucson. 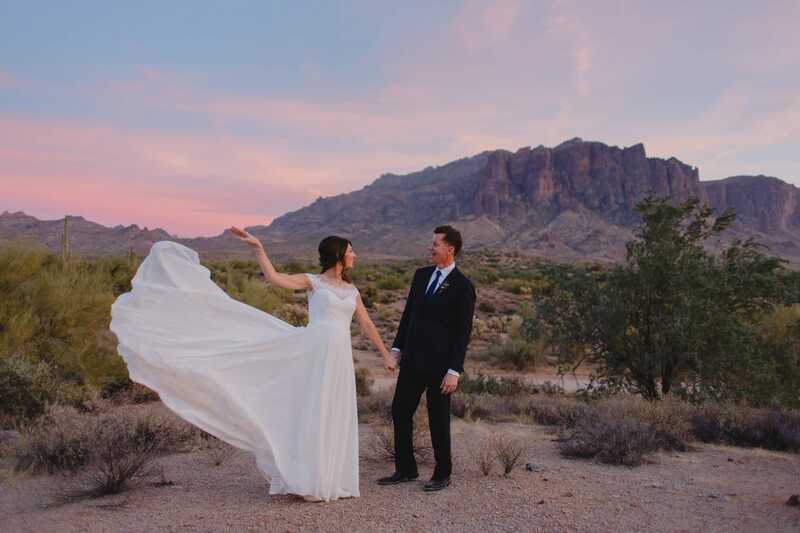 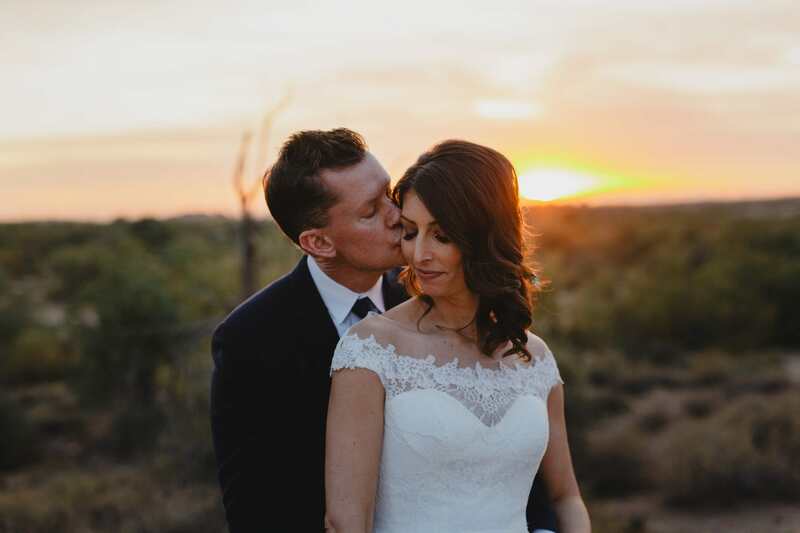 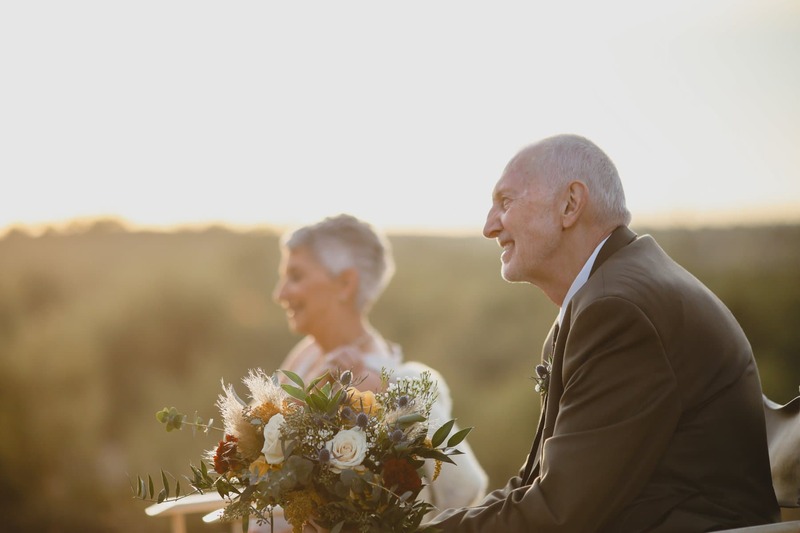 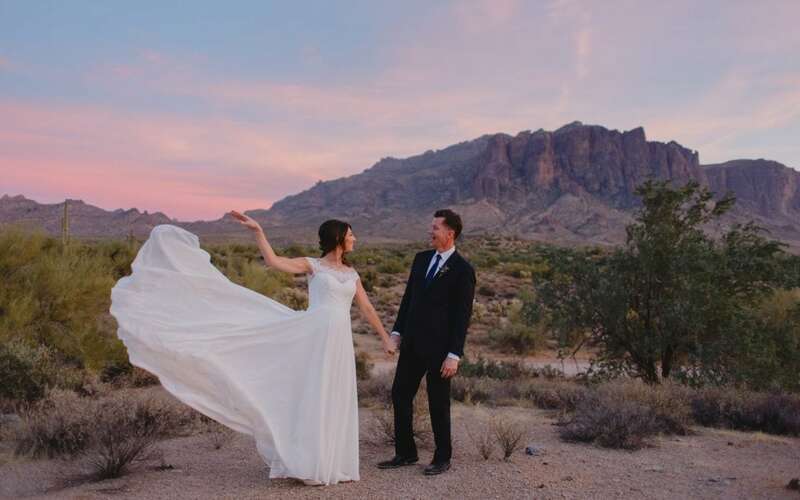 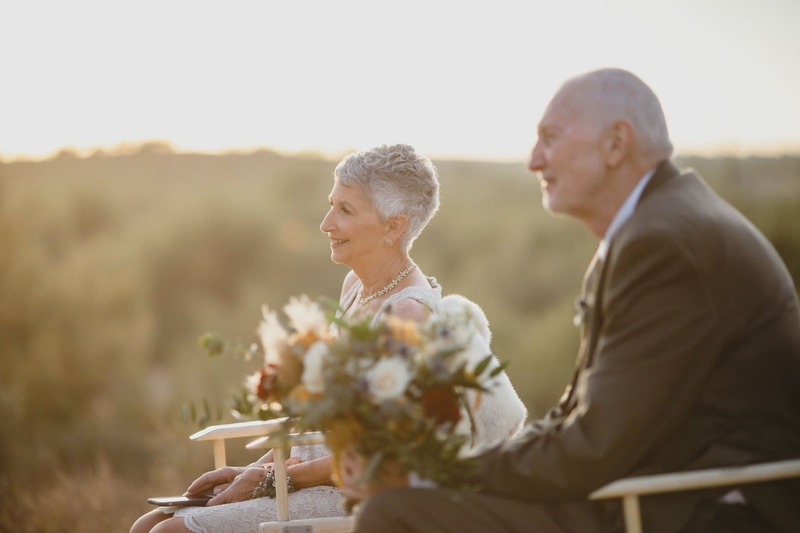 There are so many options and Arizona adventure elopements are becoming very popular as more and more people are skipping having big weddings in lieu of keeping things simple and about themselves as a couple. 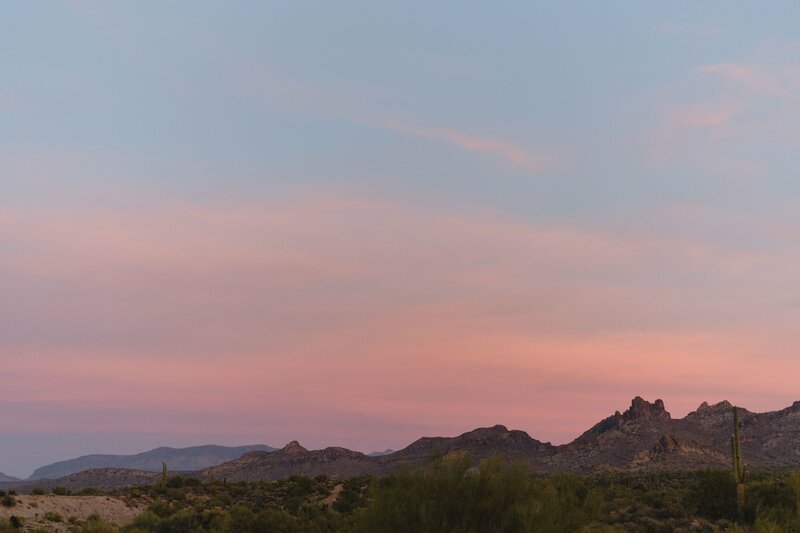 Contact me and let’s chat!